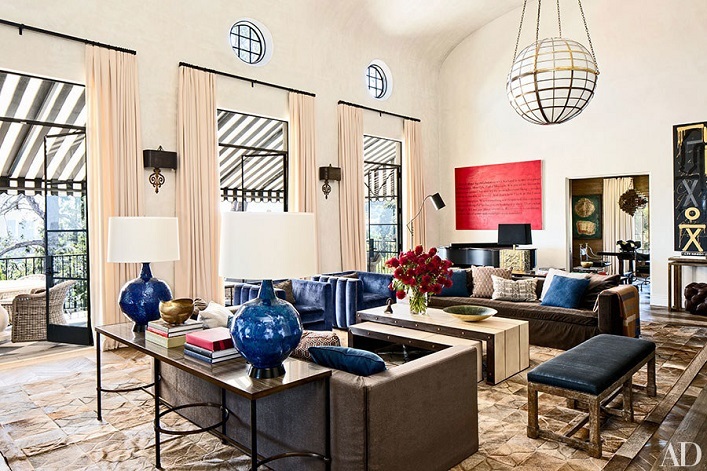 Mix and Chic: Home tour- Actress Ellen Pompeo's bold and beautiful Los Angeles villa! 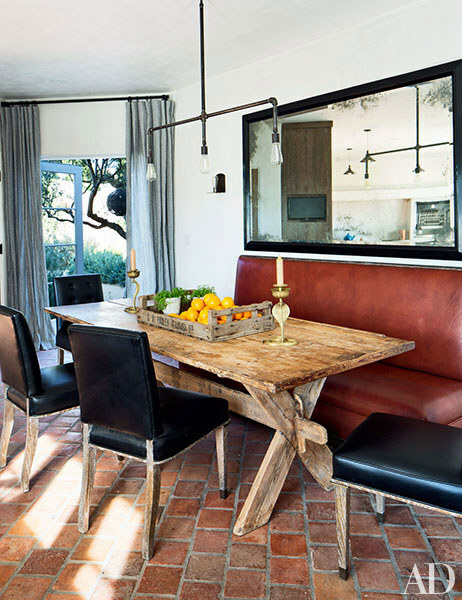 Home tour- Actress Ellen Pompeo's bold and beautiful Los Angeles villa! 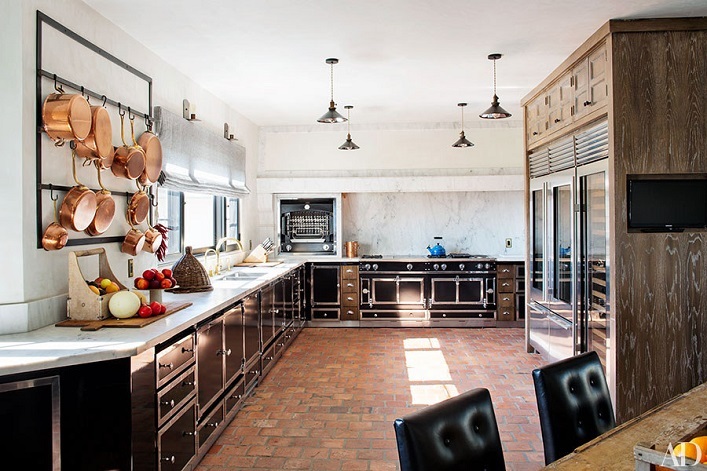 To transform her 1930s Los Angeles villa that she shares with her young family, actress Ellen Pompeo enlisted the help from celebrity decorator, Martyn Lawrence Bullard. The results? A bold and beautiful makeover! 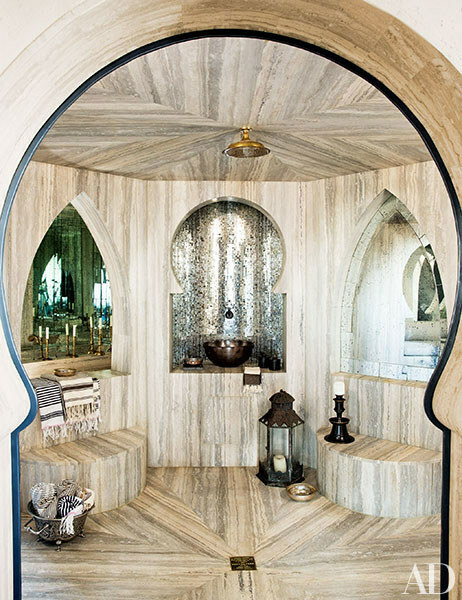 Let's take a tour of this fabulous home, shall we? There is so much to love about this gorgeous home. 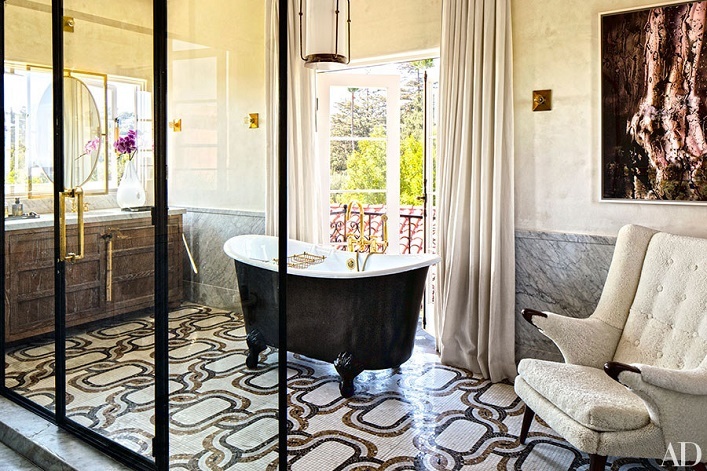 However, the design choices made in this home is definitely not for the faint of heart! 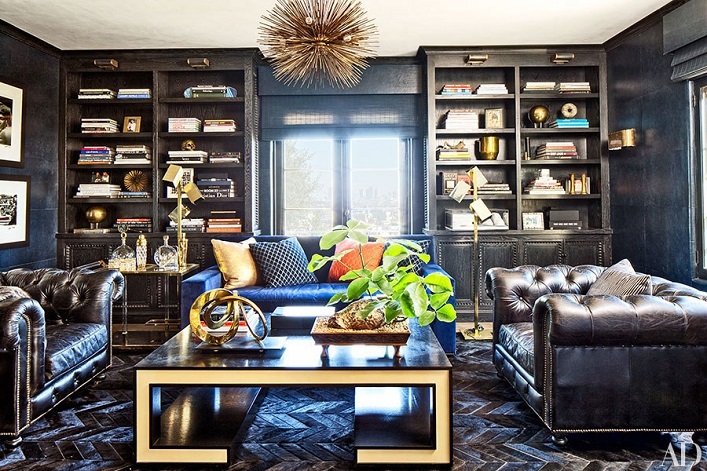 From this home tour, we can see how this talented designer unleashes his design prowess by melding big, bold and unexpected pieces with strong design elements to make each room shines and feel grounded. With a sophisticated sense of style and a knack for visually interesting furnishings, this home truly stands out, don't you think? I am particularly draw to the dramatic library, elegant master bedroom and the stunning outdoors. What about you? Are you a fan of his bold design style or otherwise? Boy this is one of the most unique homes I have seen. It's fun and exciting! The children's spaces are so special. I too love the library and the outdoor spaces. The lighting choices are fabulous!!! Thanks for sharing. I don't subscribe to AD any longer so this was all new to me. I love this home too! I love everything about it. 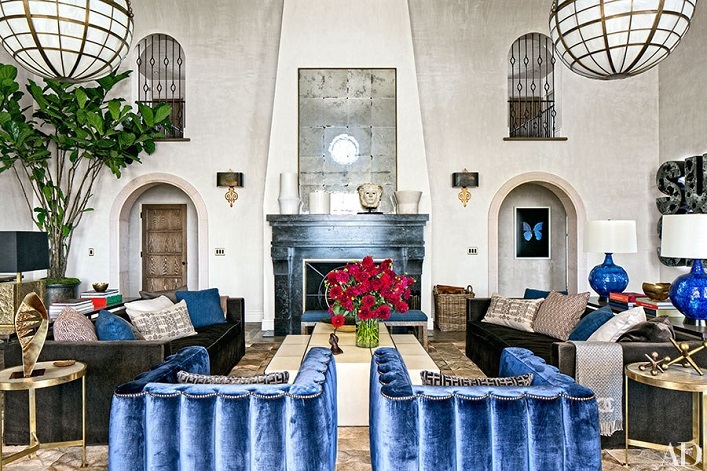 I noticed a similar design in March 16 House Beautiful, another LA home done with a lot of moroccan touches. I want to achieve this look in my home, starting with the creamy white walls. I would love to know what paint color they used!